During April 2016, in honor of Autism Awareness Month, Chamilia, a Swarovski Company, announced that it will continue to support its program to donate five percent of proceeds from its “Autism Puzzle Piece” charm to the Autism Research Institute. The brand became interested in supporting these efforts after learning that in 2012 the Centers for Disease Control (CDC) announced that one in 68 people under the age of 21 living in the U.S. has been identified with autism spectrum disorder (ASD). This number continues to increase, as a more recent CDC National Health Interview Survey suggests that 1 in 45 children, ages 3 through 17, now have been diagnosed with ASD. There are more than 400 exclusive charms available from the Chamilia brand. The line is made from sterling silver or 14 karat gold and features genuine Swarovski Crystals, Swarovski Zirconia, or Murano Glass that is handmade using the finest ingredients. The brand follows strict Swarovski guidelines for quality and aesthetic standards. 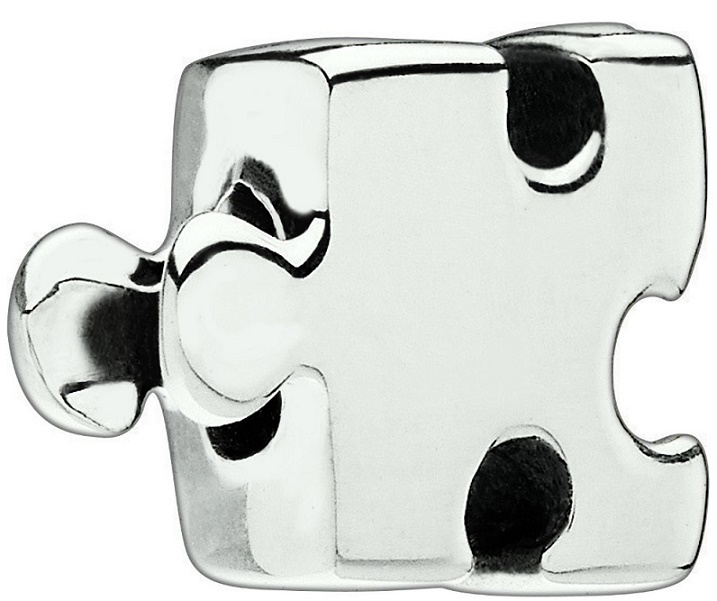 The “Autism Puzzle Piece” charm from Chamilia is a sterling silver representation of a piece from a puzzle and retails for $35. The charm symbolizes the need to develop a greater understanding of the condition of autism and its impact on our society. The Chamilia “Autism Puzzle Piece” charm will be available at the brand’s nearly 2,000 retail partners worldwide and on the Chamilia website, www.chamilia.com. Based in Cranston, RI, Chamilia is an American company that was established in 2002. Since its purchase in 2013, it has been a member of the Swarovski Group, a world leader in quality and innovation. Each of the more than 400 exclusive charms, and its fine jewelry collections, available from the brand are made from .925 sterling silver or 14 karat gold and feature genuine Swarovski Crystals or Zirconia, or are handmade with Italian Murano Glass. The brand follows strict Swarovski Group guidelines for quality and aesthetic excellence. For more information, please go to www.chamilia.com. View more blog posts about charms on the Fashion Blog. Charms are a fun way to dress up bracelets, necklaces, fashion accessories, zipper pulls, etc. By the way, it is not too late to pick out a Valentines Day Charm for your loved one or for yourself.